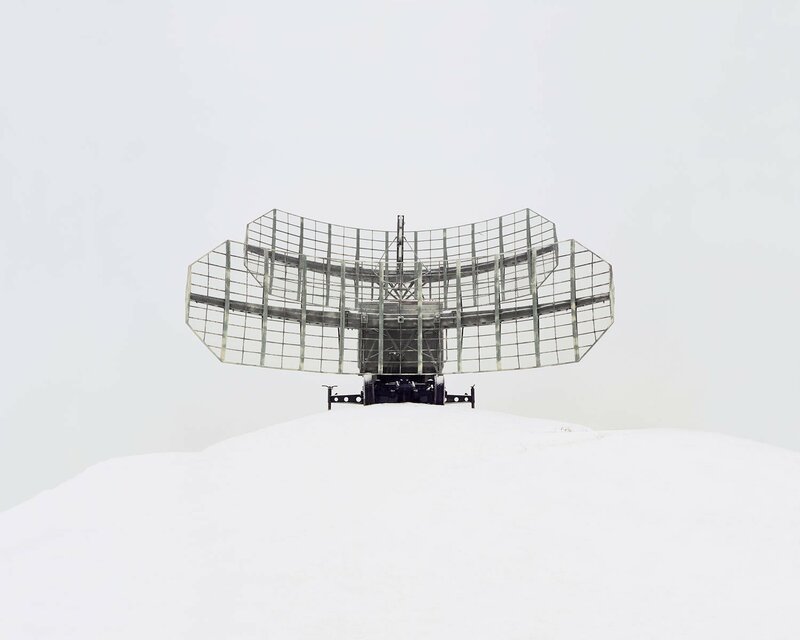 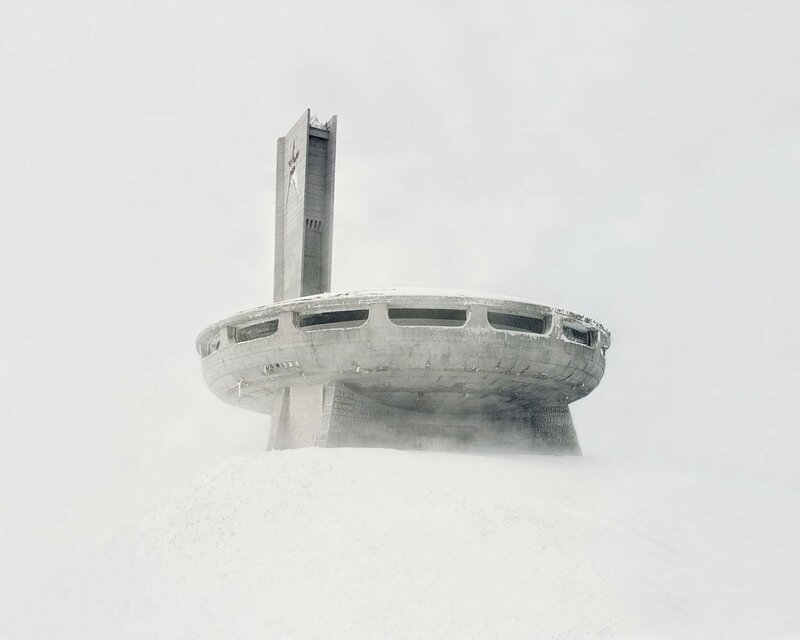 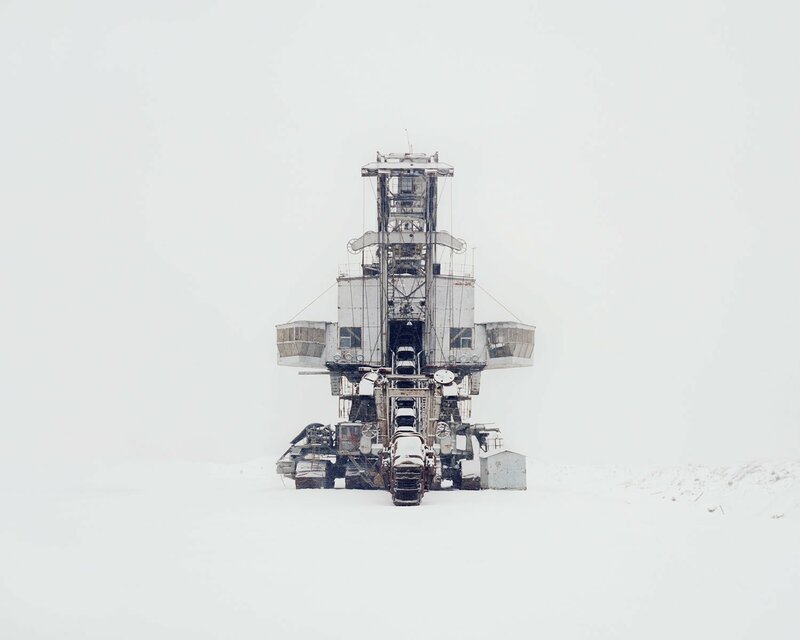 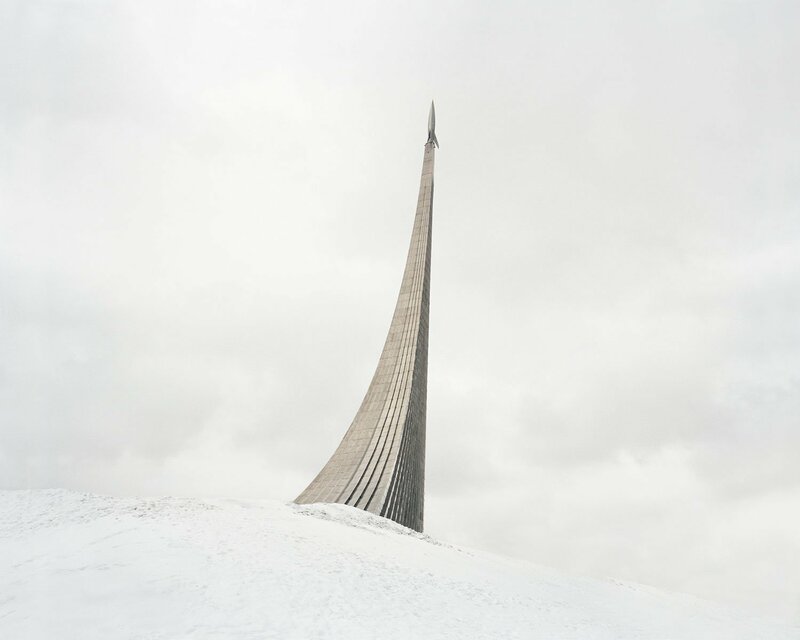 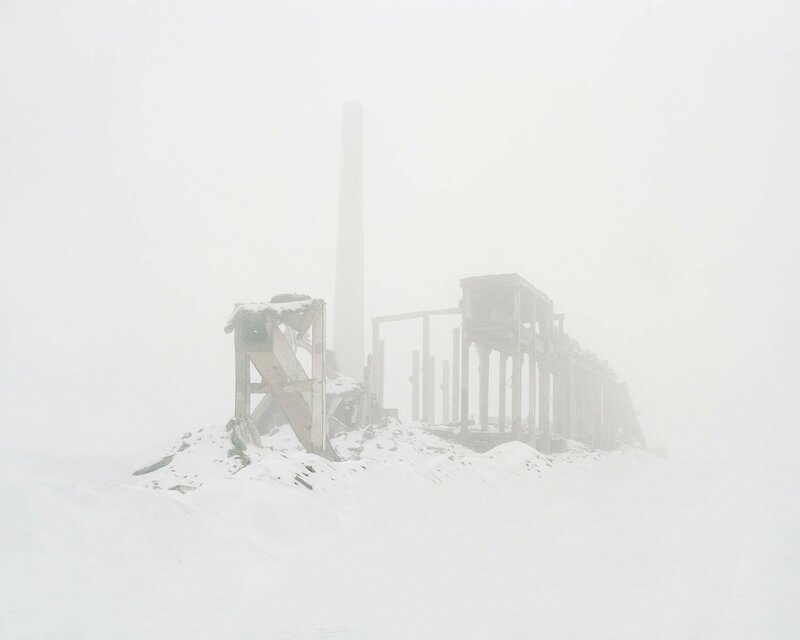 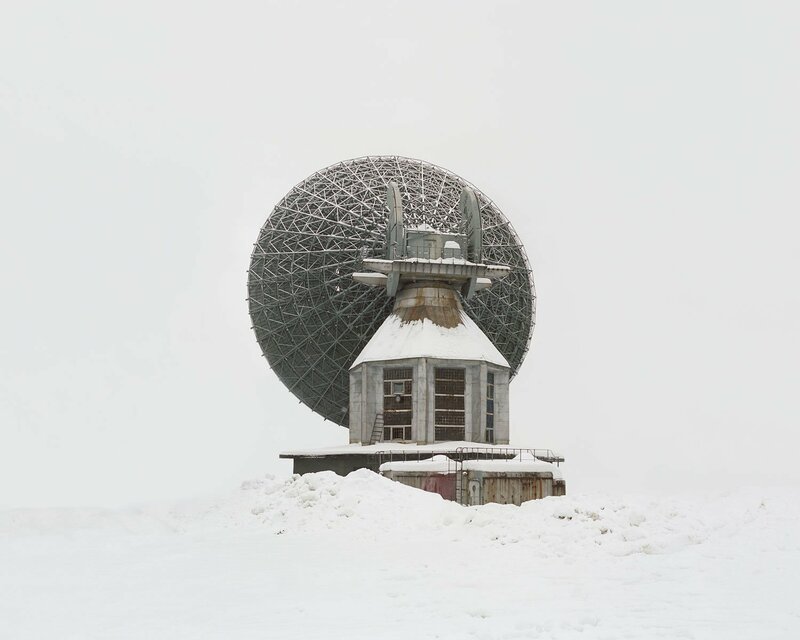 Danila Tkachenko is a Russian photographer whose series Restricted Areas crystallises the tendencies of many artists working on themes of the post-Soviet space. 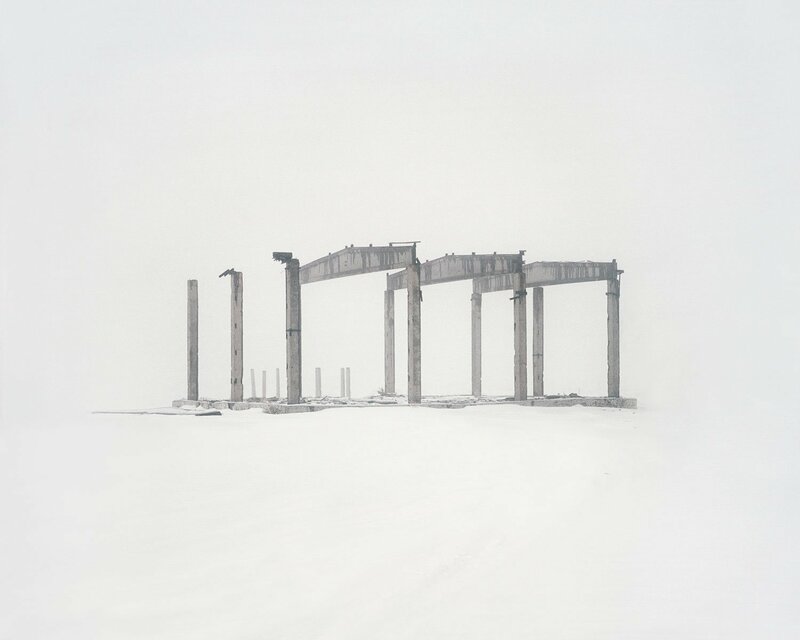 As Calvert 22’s Power and Architecture season demonstrates, there is a healthy interest in the abandoned or neglected buildings that once served as landmarks of Soviet ambition: the rack and ruin of utopia. 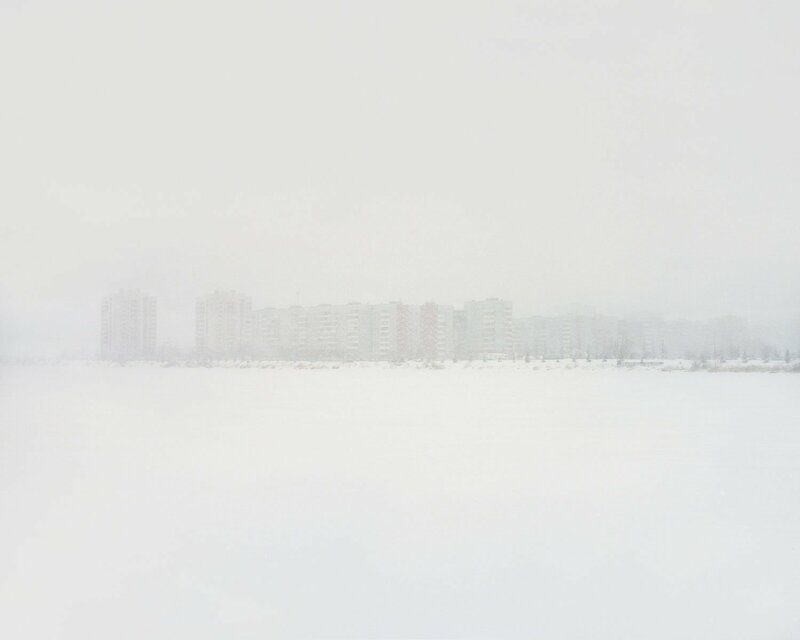 What sets Tkachenko apart is the unforgiving simplicity of his compositions. 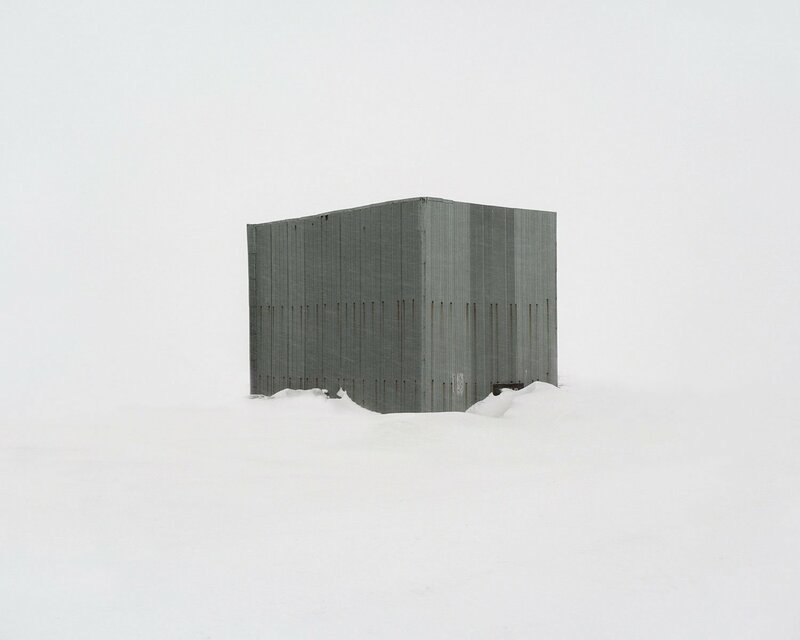 The architecture of Restricted Areas is scattered across Eurasia: from an observatory in Kazakhstan to submarines in the Volga region of Samara and oil fields in the remote republic of Bashkortostan. 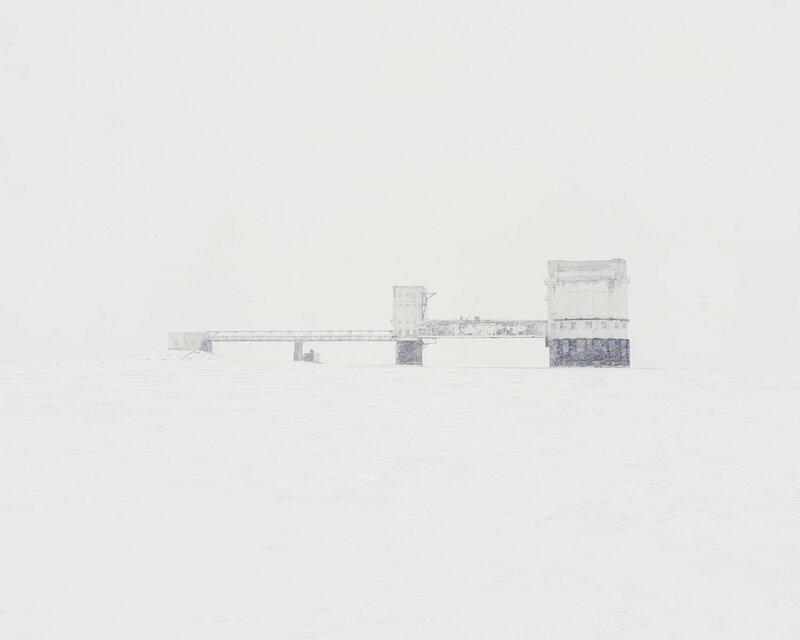 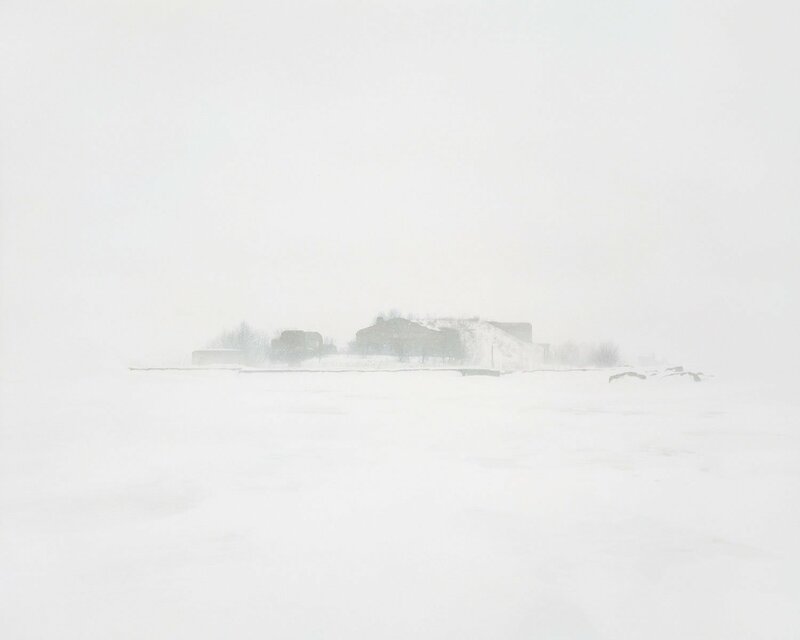 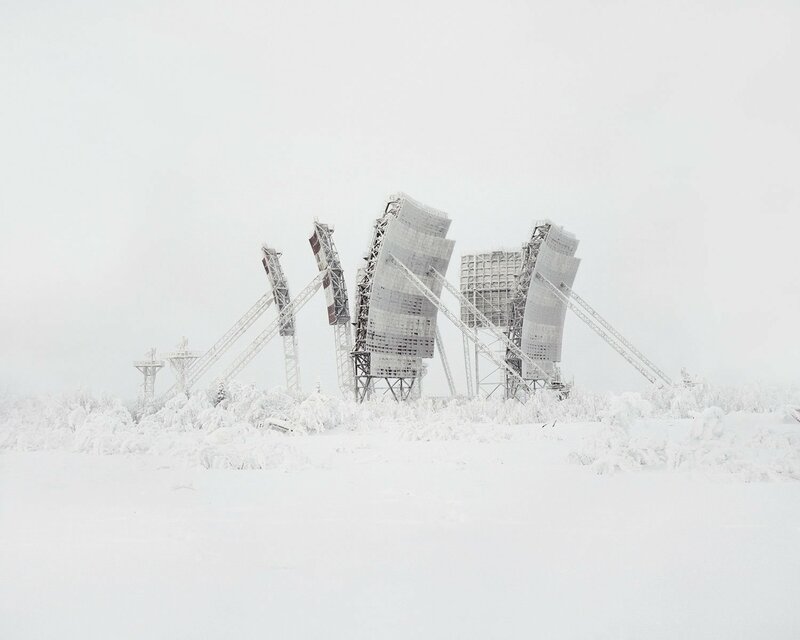 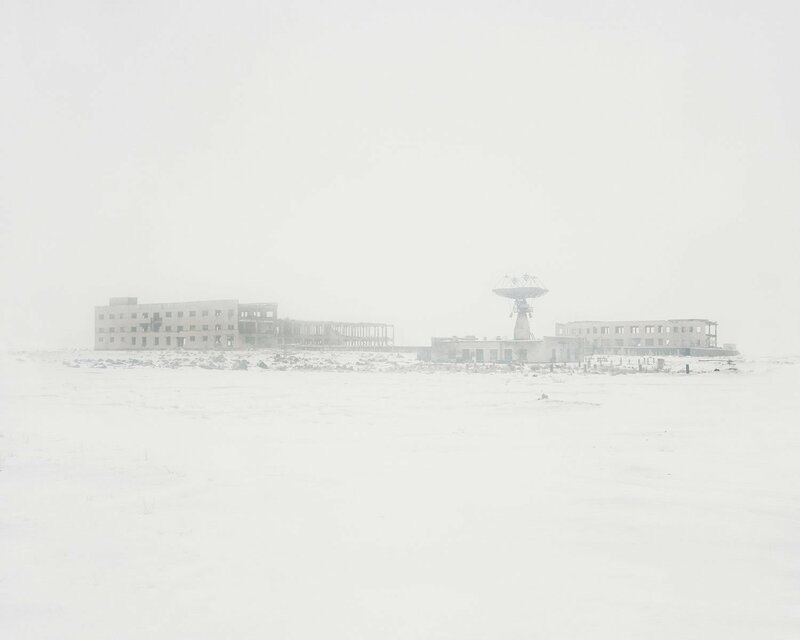 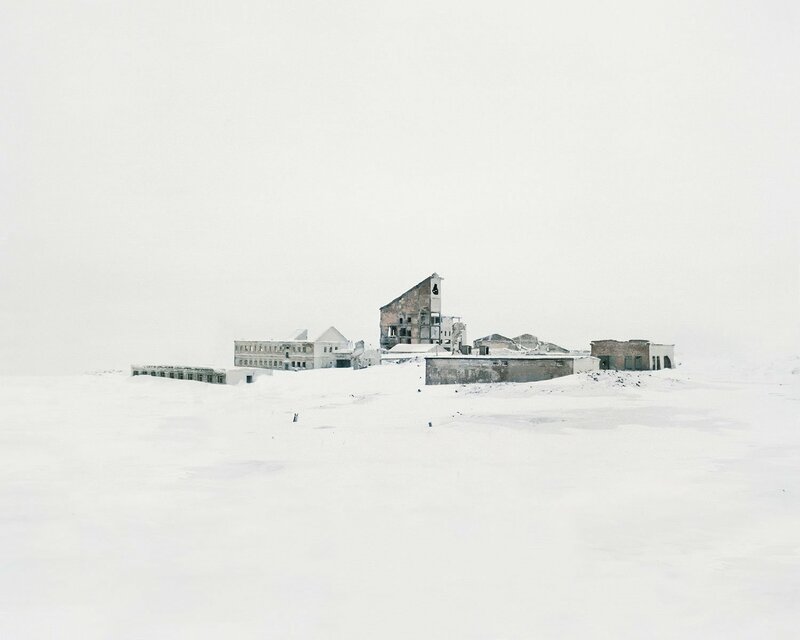 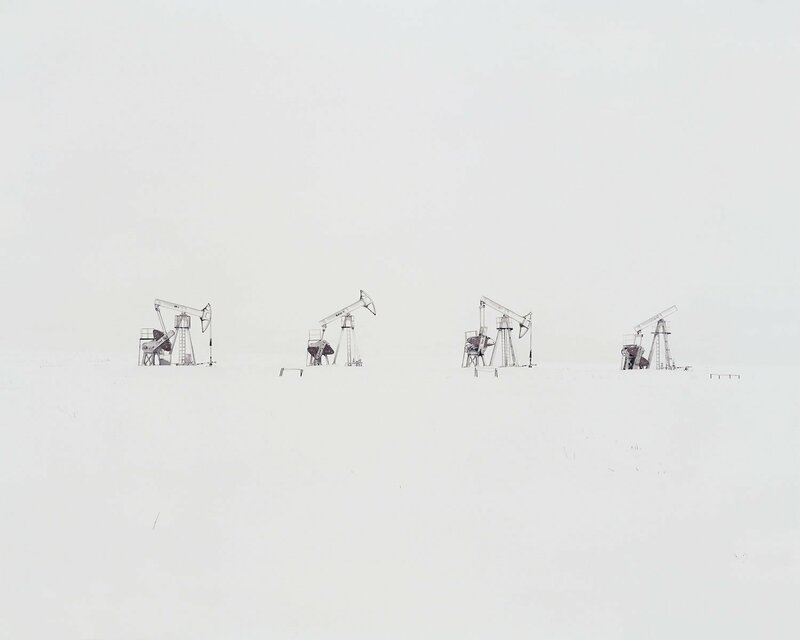 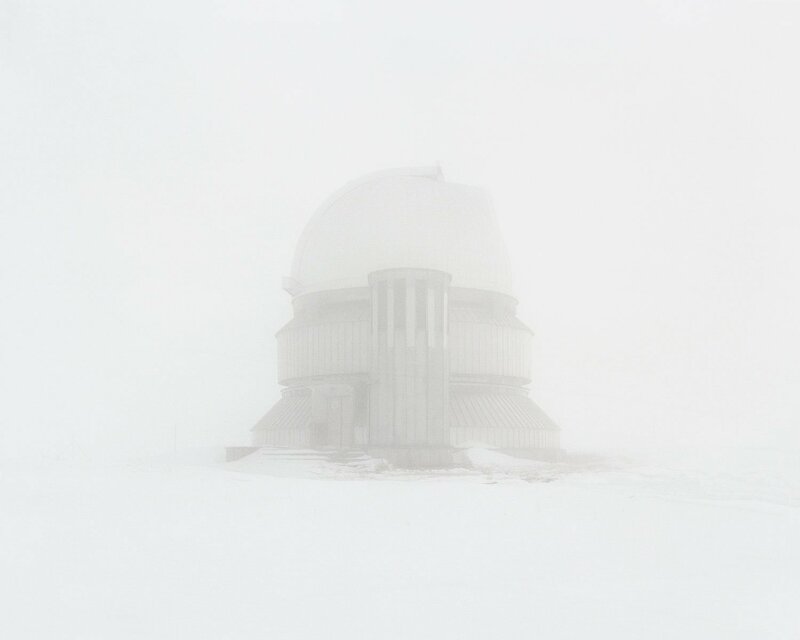 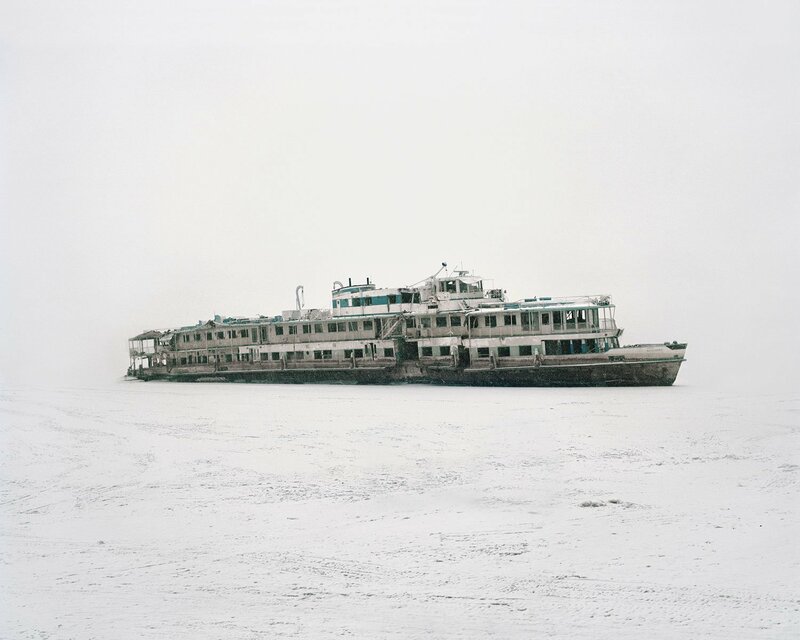 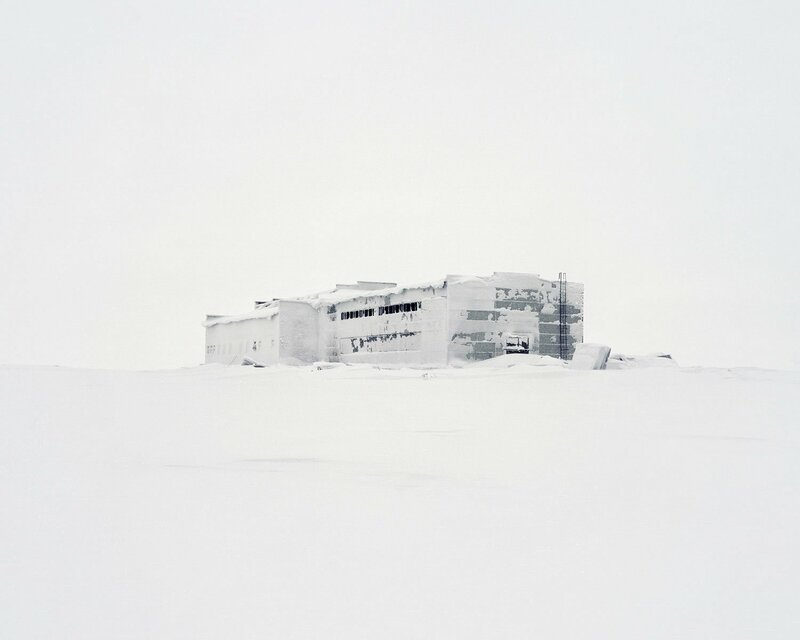 But through Tkachenko’s lens they become part of a single winter landscape, minimal and saturated with whiteness. 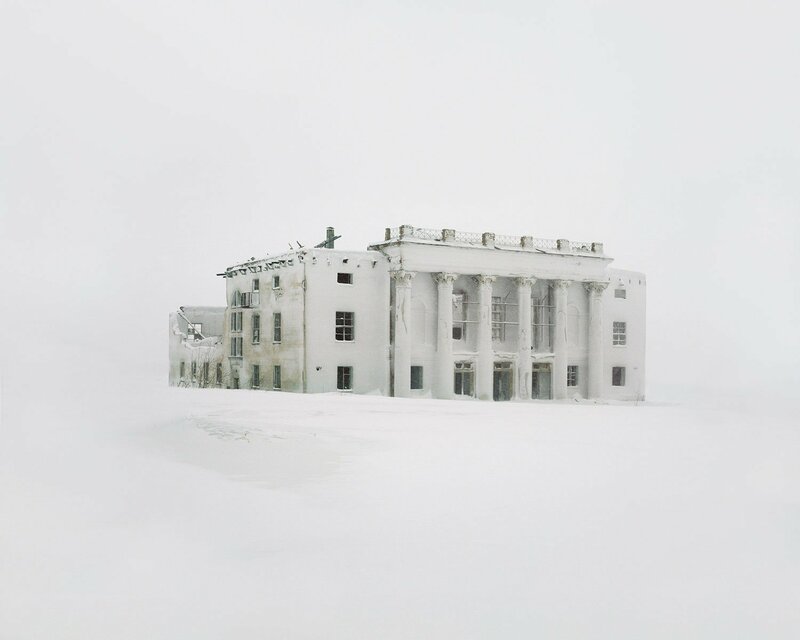 “Abandoned buildings of almost inhuman complexity” is how the photographer describes his subject, and it is true that the series speaks to the sublimation of the person into the political project. 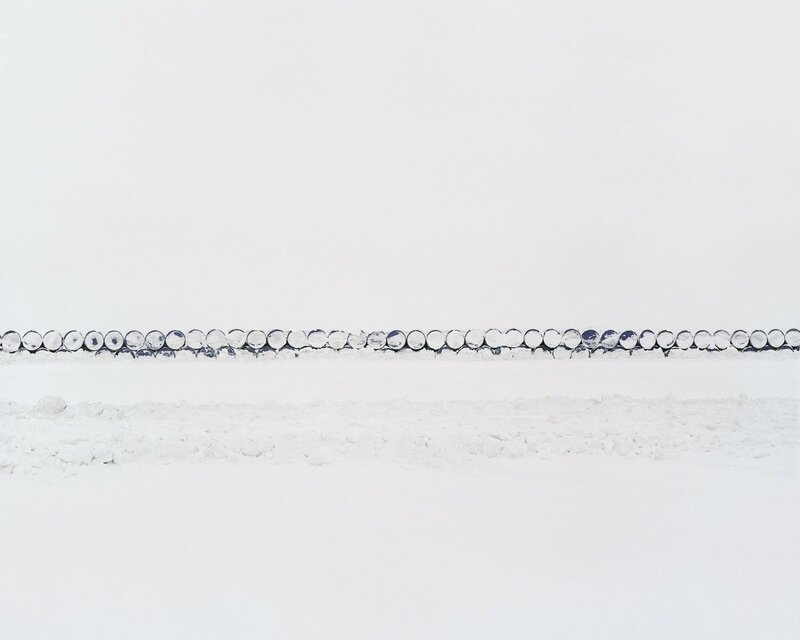 There seems to be no logic to it. 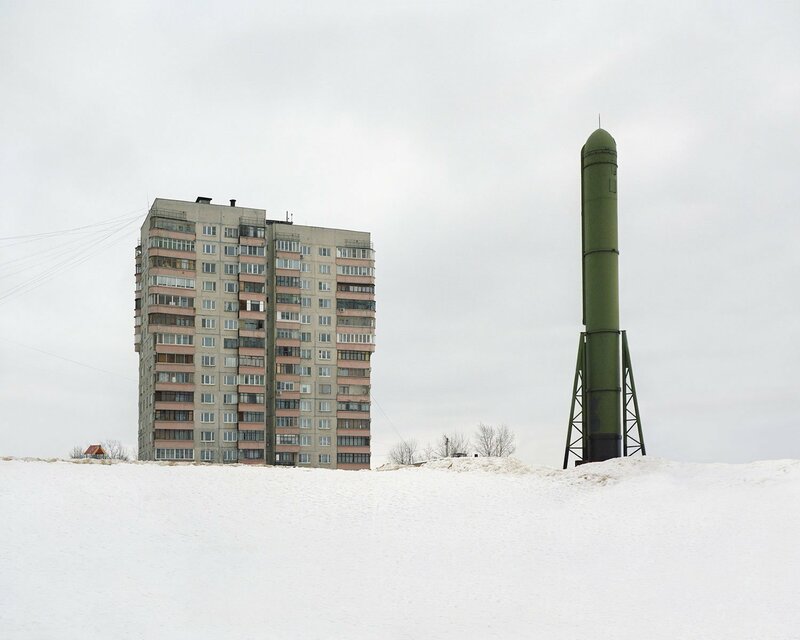 Why would anyone build in these places? 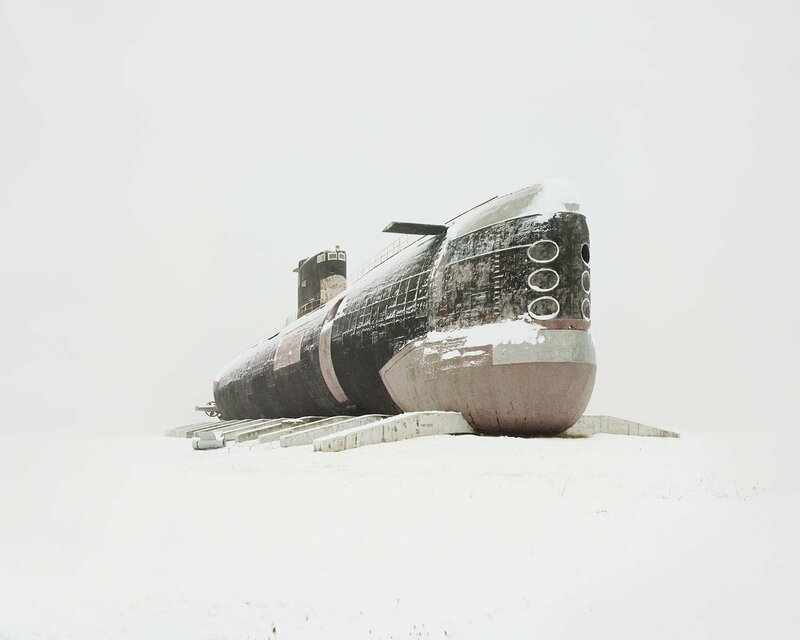 Why is there a submarine stranded in the midst of all this snow? 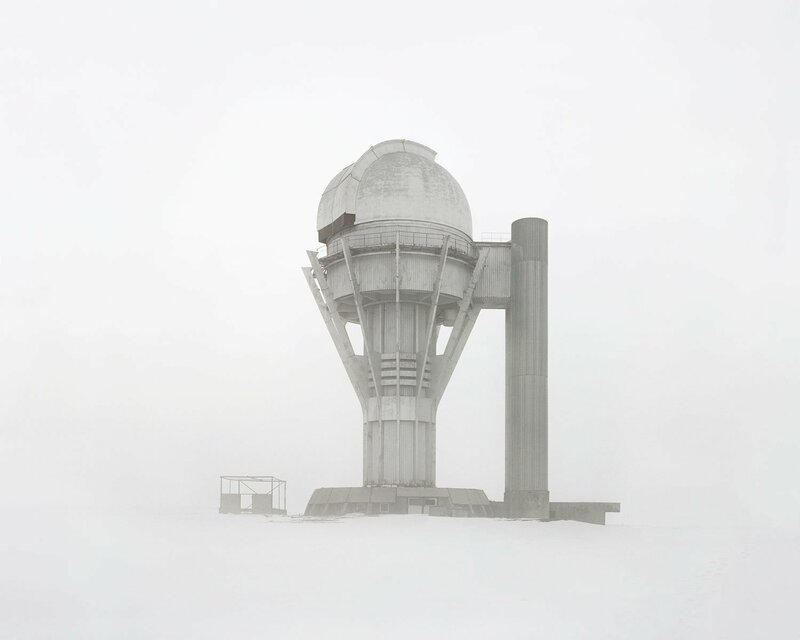 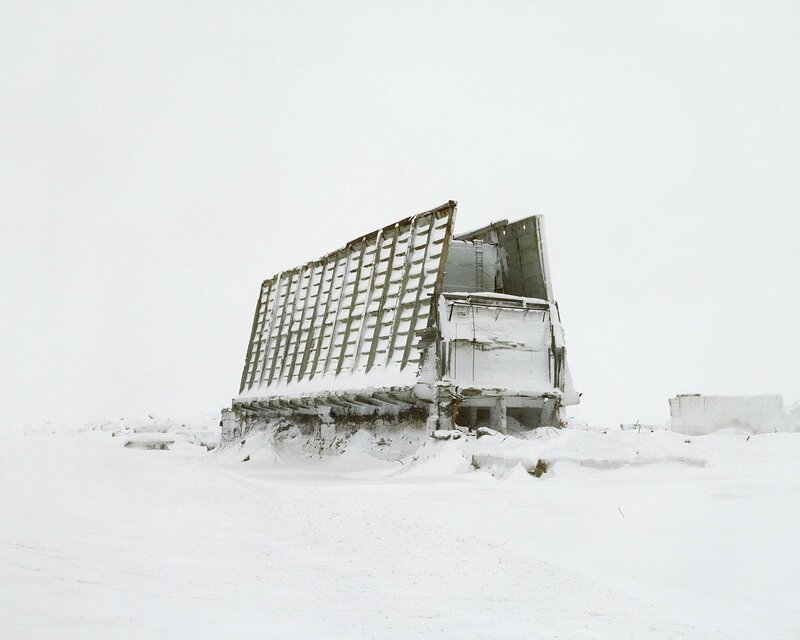 One image, of a deserted interplanetary antenna in the Arctic Arkhangelsk region, speaks particularly poignantly to the idea motivating many of these structures, that it might be possible to transcend the earth altogether. 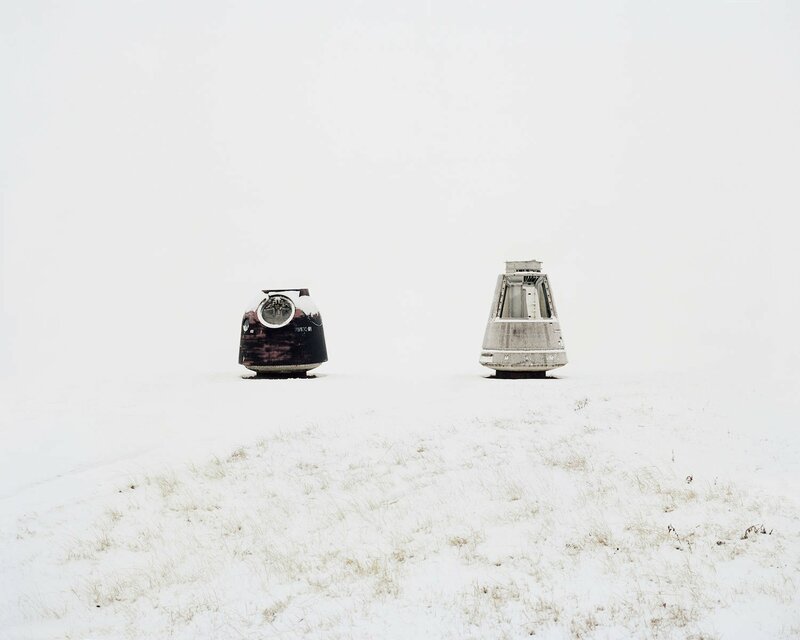 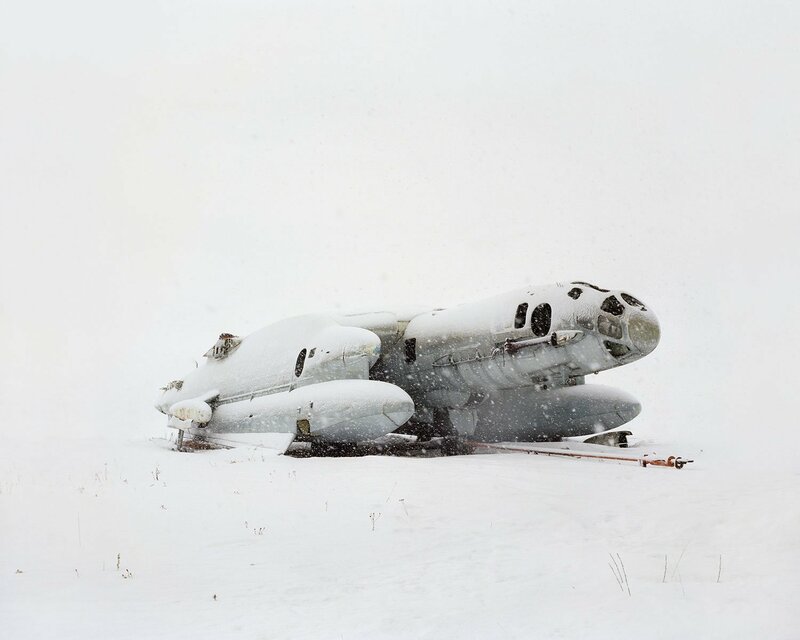 Grounded flying machines and beached submarines: Tkachenko’s series is replete with defunct technologies assembled at great human and financial cost. 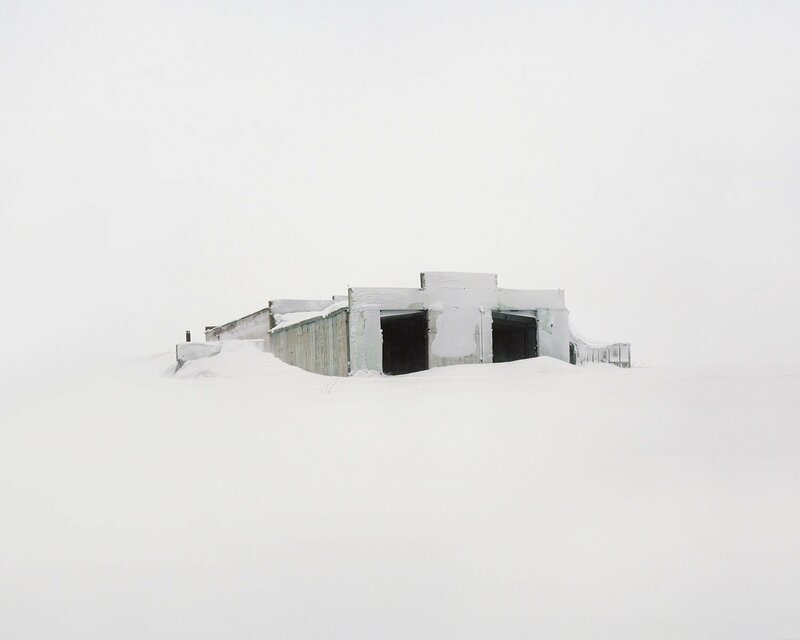 Buried in snow and kept off the map, they pose more questions than answers.